Sounds good. And don't forget, even when you're eating mediocre BBQ, at least you're eating BBQ. And I think there is something to BBQ and sours. I have yet to try it with anything beyond the Duchess, but I think there might be some promise. Although, I won't hold my breath on ever finding one in a BBQ joint. You may be on to something with the BBQ and sours. This beer was a total revelation last night, but I was drinking it after a bunch of other beers and after eating a half pound of brisket and a selection of BBQ sauces, including a vinegar based one. I guess what I'm saying here is that my palate was probably primed for a sour. This is intriguing and bears more experimentation. Ha! 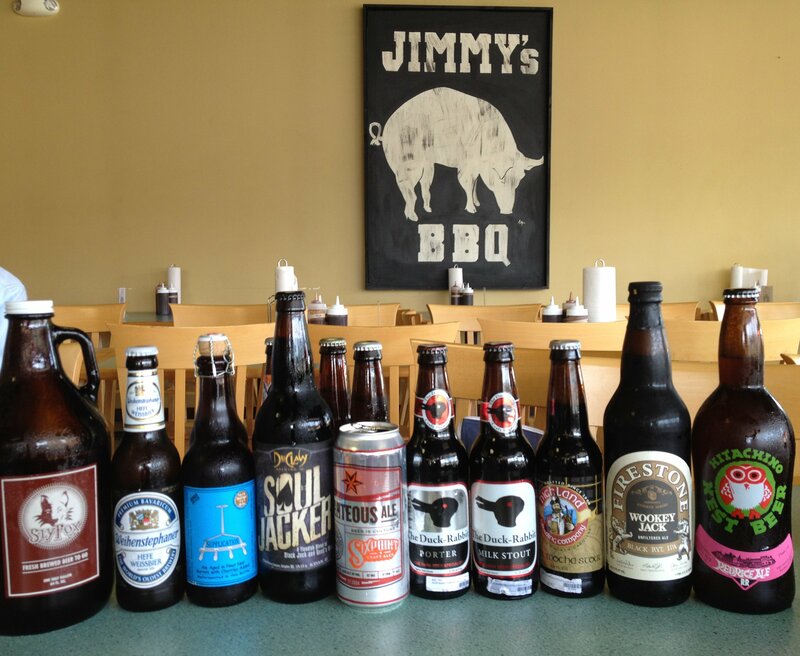 Can you imagine finding a stock of rare Russian River and Cantillon beers at a BBQ joint. That would indeed be quite awesome. This page contains a single entry by Mark published on August 15, 2012 10:08 PM. The Bruery White Oak was the previous entry in this blog. Pretty Things Meadowlark IPA is the next entry in this blog.